Big time college sports like basketball and football have a contradictory reputation at many universities. They bring in big bucks and engender loyalty to a school, but they also distract from higher education’s primary mission. Are reforms necessary in the college sports system? Host Frank Stasio talks to Dave Dewitt, WUNC’s education reporter and a former college basketball player and coach; Charles Clotfelter, professor of public policy, economics and law at Duke University and author of “Big-Time Sports in American Universities” (Cambridge University Press/2011); and Will Blythe, editor-at-large of Byliner and author of “To Hate Like This is to be Happy Forever” (Harper/2007), which chronicles the UNC-Duke basketball rivalry. Or, visit the WUNC website for more information and media. Charles Clotfelter looks at the impact of commercial-level sports at universities in the United States and assesses what this has meant for the system of higher learning. He showed some pictures and charts during his presentation and he responded to questions from members of the audience. “College Sports: You got a problem with that?” was a Shaftesbury Society luncheon talk at the John Locke Foundation in Raleigh, North Carolina. 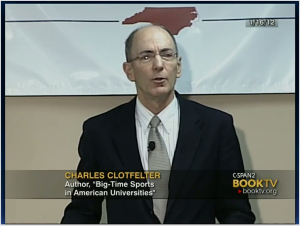 CSPAN BOOKTV aired the talk on February 13, 2012, and it is available for online viewing here. 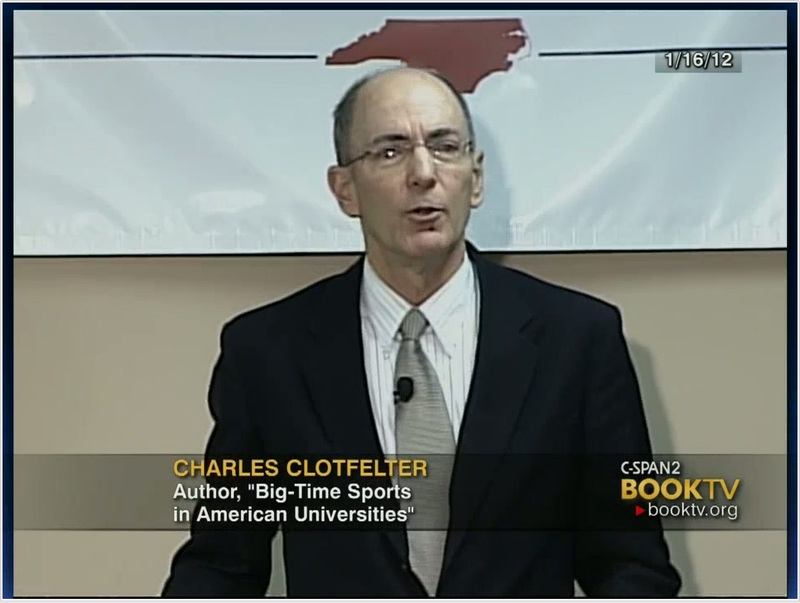 Charles Clotfelter discusses college sports as a university activity on Duke Office Hours (November 10, 2011). In a live, online “Office Hours” conversation Thursday at noon, the author of “Big-Time Sports in American Universities” will explain what he learned in writing his book. Editor’s Note: Watch the webcast live Thursday at noon on the Duke Ustream channel. DURHAM, NC – College football is in the news this year not only for on-field highlights, but also because of shifting conference alignments, NCAA investigations, and even criminal charges. Duke Professor Charles Clotfelter, author of “Big-Time Sports in American Universities,” says questions surrounding the mix of money, morality and education in intercollegiate athletics are nothing new, but that is no excuse for avoiding reform. During a live, interactive “Office Hours” webcast at noon Thursday, Nov. 10, Clotfelter will answer viewer questions about the business and ethics of college sports. Watch the webcast on the Duke Ustream channel. To submit a question, send an email to live@duke.edu, tweet with the tag #dukelive or post to the Duke University Facebook page. Clotfelter is the Z. Smith Reynolds Professor of Public Policy at Duke’s Sanford School of Public Policy and also a professor of economics and law. He enjoys playing squash and golf — and watching college sports. A diverse panel takes up the topic of conflicts and benefits of commercial college sports. Speakers include: Charles Clotfelter ’69, Z. Smith Reynolds Professor of Public Policy Studies, and author of the new book “Big-Time Sports in American Universities”; Alan Fishel J.D. ’86, P’13, partner, Arent Fox, and lead counsel on Bowl Championship Series issues; Chris Kennedy Ph.D. ’79, P’05, P’09, Duke’s deputy director of athletics and Title IX Coordinator, and Nancy Hogshead-Makar ’86, Olympic gold-medal winner and professor at Florida Coastal School of Law. James E. Coleman, Jr., John S. Bradway Professor of Law at Duke Law School, moderated the April 8, 2011 panel. Many American universities are known around the country not for their academic accomplishments, but for their football or basketball teams. We’ll hear how the commercialization of college sports creates conflicts for traditional academic values, as universities strive to succeed in athletics, with author and Duke University Public Policy Professor Charles Clotfelter. College Sports: The Economics, Ethics, and Excesses of the Games We Love,” is the topic of a Duke Magazine Forum-Office Hours conversation at 2 p.m., Friday, April 8, in Duke’s Page Gym (changed as of April 6, 2011). Those not able to attend in person can watch the discussion live on the Duke University Ustream channel and also submit questions online. 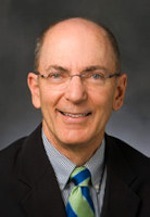 Addressing the issue will be Charles Clotfelter ’69, Z. Smith Reynolds Professor of Public Policy Studies, and author of the new book “Big-Time Sports in American Universities”; Alan Fishel J.D. ’86, P’13, partner, Arent Fox, and lead counsel on Bowl Championship Series issues; Chris Kennedy Ph.D. ’79, P’05, P’09, Duke’s deputy director of athletics and Title IX Coordinator, and Nancy Hogshead-Makar ’86, Olympic gold-medal winner and professor at Florida Coastal School of Law. James E. Coleman, Jr., John S. Bradway Professor of Law at Duke Law School, will moderate the panel. or post to the Duke University Facebook page. 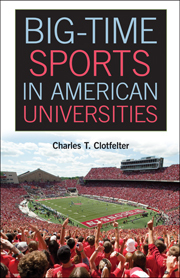 In Big-Time Sports in American Universities, a new book out from Cambridge University Press, Charles T. Clotfelter examines what some describe as the outsize role athletics plays on many American campuses. Below, the Duke University professor of public policy, economics, and law answers a few of our questions about his work. You’ve written about school desegregation, the growth of state lotteries, and the rising price of college. What about college sports attracted your attention? Big-Time Sports in American Universities, Second Edition is powered by WordPress at Duke WordPress Sites. Please read the Duke Wordpress Policies. Contact the Duke WordPress team.